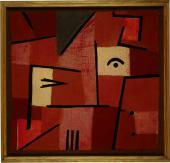 The exhibition "Paul Klee. Carpet of Memory',' which ran at the Zentrum Paul Klee in Bern, brought to a thrilling conclusion the oriental "Grand tour" the Zentrum Paul Klee initiated with the exhibition "In Search of the Orient" and which leads visitors through time and space. The focus of this particular exhibition is the oeuvre of Paul Klee and the works that emerged from his trip to Tunisia in 1914 and Egypt in 1928, as well as his later exploration of a host of Orient-inspired themes. The exhibition also includes early Orient-themed photographs and examines the image of the Orient that photography helped to convey. Кlee's interest in the Orient as an artist at the threshold of the 20th century has to be understood within the context of a deep-seated pattern of change: central to the artistic process of Modernists such as Henri Matisse, Wassily Kandinsky and others was — in contrast to their Orientalist predecessors — their discernible interest in the abstraction and symbolism of Islamic arts. The selection of works of Islamic art at the beginning of the exhibition affords an insight into Klee's affinity for this imaginative cosmos. The few but highly important objects from the Islam-influenced cultural sphere have been selected to reflect the particular connections and interconnections between East and West. Two forms of the visual expression in the art of Islamic cultures have been defined here as a guiding principle and link to Paul Klee's Orient-influenced works: writing and the graphic line, and the tendency towards abstraction that one finds in Islamic ornamentation in particular. While Arabic calligraphy and Ancient Egyptian hieroglyphs encouraged Klee to develop his own pictorial alphabet, it was highly ornamented Oriental art that was to provide his creativity with a constant source of geometric and ornamental inspiration. 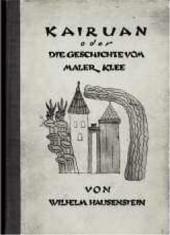 Klee's first thematic exploration of the Orient was prompted by his reading of classics of 19th-century Oriental literature, including Goethe's poetry anthology "West-ostlicher Divan"; the "Lieder des Mirza-Schaffy", published in 1886 in a translation by Friedrich von Bodenstedt; and the poetry of the great Persian lyricist Hafiz (1326-1389). Some of Klee's early works still bearing traces of Art Nouveau, contain clear allusions to the decorative arabesque and the ornament. This affinity was reflected in little ornamental drawings and decorative designs. 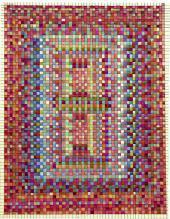 The years 1913 and 1914 found Klee creating his first abstract compositions of rectangular cells of paint and ornamental patterns — these are suggestive of the Orient, and not just because of the titles. Even before his trip to Tunisia, ornamental examples of design reminiscent of Oriental art were emerging from Klee's own creative discoveries. 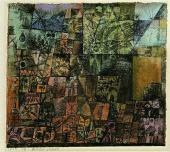 Given the circumstances, it comes as no surprise that Klee harboured the desire to see the Orient for himself — all the more so, as many of his colleagues and friends had already made the trip and reported on their experiences: his school friend Louis Moilliet visited Tunisia in 1908 and again in 1909-10 and Wassily Kandinsky and Gabriele Miinter journeyed to Tunisia in December 1904. The trip to Tunisia made by the three friends, Paul Klee, August Macke and Louis Moilliet, in April 1914 is a defining moment in the history of 20th century art — one that has acquired mythical status in modern painting. 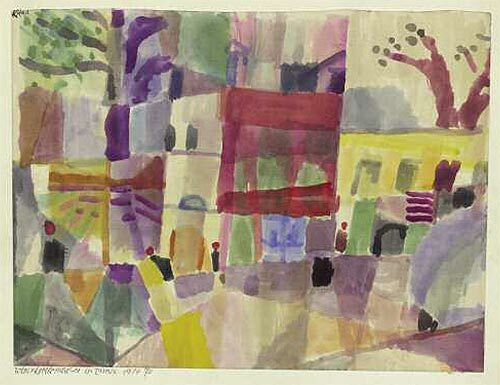 Paul Klee left Tunisia with around 30 watercolours and 12 drawings, which he had completed during his stay of a little less than two weeks. The trip had also been extremely productive for August Macke. Forming a high point of the exhibition, the artistic harvest of the trip to Tunisia comes in the shape of a representative and exceptional selection of works by Klee, Macke and Moilliet. Close collaboration with the Westfalischen Landesmuseum Miinster, which possesses one of the world's most important collections of Macke's works, means the exhibition can feature a display of the artist's works as yet unseen in Switzerland — works that emerged during the trip or as a direct result of it. Accompanying the selection are written documents and photographs affording a thrilling insight into the three artists' interaction with Arabic and Islamic culture. 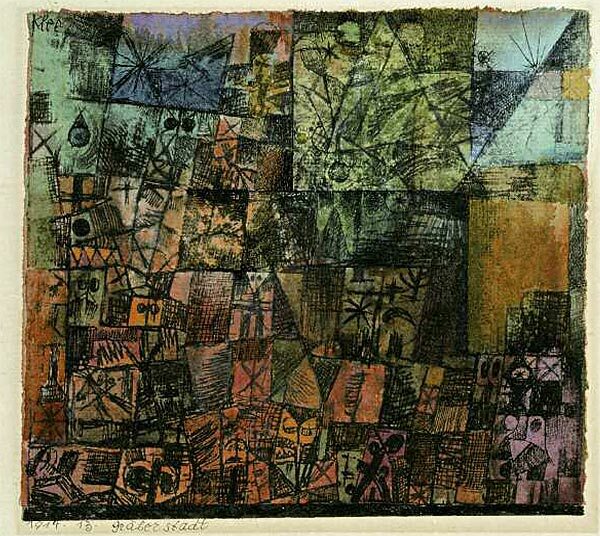 As significant as the trip itself in terms of Klee's creativity were its after-effects. 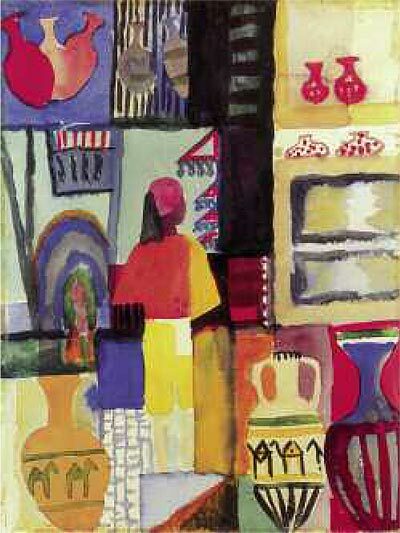 Although the outbreak of the First World War and the death of August Macke in 1914 soon saw the event recede into an unreal past, the artistic impulses Klee had garnered during the visit proved to be much longer lasting: the period of 1915 to 1920 saw him tackle the themes and motifs of the Tunisian trip to produce a wealth and variety of work. 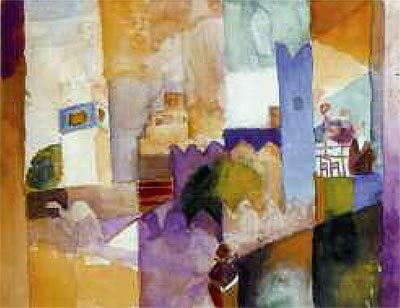 Under the impression of Moorish architecture Paul Klee starts developing in 1914 what he called his own "picture architecture". Furthermore Klee had never before come across such light and colour as he encountered in Tunisia: the experience led him to a wholly new awareness of the use of colour. In his own famous words: "Colour has taken possession of me; no longer do I have to chase after it, I know that it has hold of me forev-er...Colour and I are one. I am a painter." Also featured in the exhibition is Paul Klee's visit to Egypt in 1928 and the light it sheds on other aspects of the artist's appreciation of the Orient. The Englishman Howard Carter's discovery of the tomb of Tutankhamen in 1922 generated a huge amount of interest in all Egyptian things throughout Europe, Paul Klee included. He set off on a meticulously planned, 18-day journey to Egypt in December 1928, which was funded by the Klee Society (established in 1925 by loyal collectors including Otto Ralfs, Hanni Biirgi and Ida Bienert). 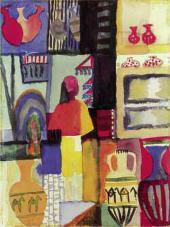 Klee took the boat from Genoa via Naples to Alexandria, and travelled on from there to Cairo, Giza, Luxor and Aswan. The visit itself yielded no more than a handful of drawings, but the artist's creative involvement with what he experienced in Egypt found intense expression following his return home: inspired by the geometry of the fields in the Nile valley, he created compositions of horizontal stripes and lines which take their cue from the structural principle of cardinal progression (1:2:4:8:16). 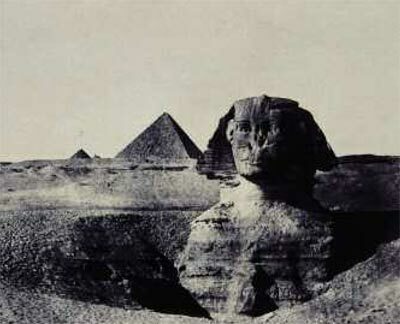 The Egyptian trip also prompted in him a sustained interest in the motifs presented by the pyramids and the Sphinx, and in pictorial and coded languages. 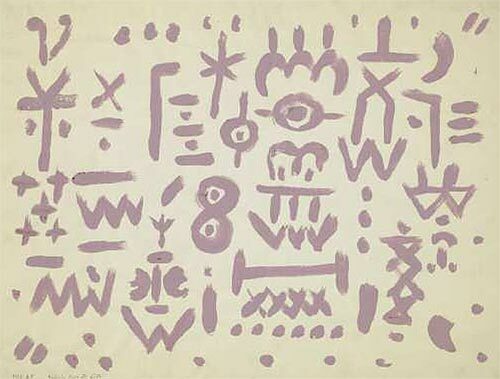 In fact, Arab calligraphy, Sumerian cuneiform script as well as old Egyptian hieroglyphs inspired Klee to form his own hieroglyphic alphabet. Many of his works can be read as typefaces, the precise content and significance of which escape any binding reading, however. As it were, the "image texts" reveal themselves to the viewer through an associative "reading matter". Paul Klee was fascinated by the ambiguous semiotics of Oriental characters and their oscillation between abstract character and imagery. The exhibition also shows photographs stemming from the 19th and early 20th centuries — from Maxime du Camp, Francis Frith and August Salzmann, to Henri Bechard and Lehnert & Landrock. They help place the history of the discovery of the Orient in a new light — just as the previous exhibition "In Search of the Orient. 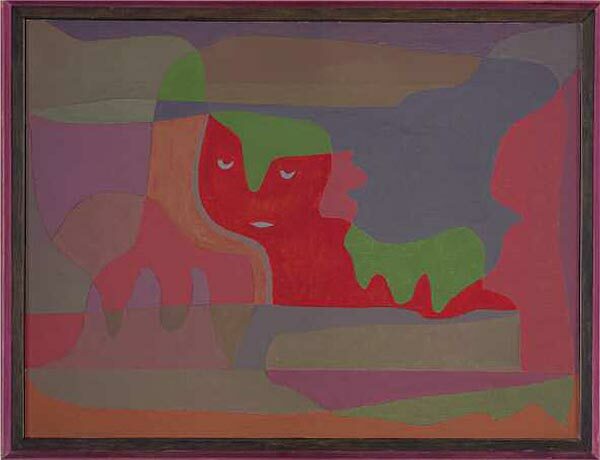 From Bellini to Klee" (7 February to 24 May 2009) accomplished through paintings. The very process of photography began by taking its cue from the pictorial motifs and conventions of Orientalist painting, its pictorial idiom developing only gradually. Early photographers patrolling the Orient perceived their role as documenting what they saw in the service of science. While Orientalist painting abided by an imaginary conception of the Orient, photographers trained their lenses increasingly on the emergence of modern life, the erection of bridges and dams and the appearance of new means of transport. More than the mere presentation of Klee's "Oriental" trips, the curators aimed to show the context of these trips, not only from Paul Klee's biographical point of view, but furthermore and for the first time considering the history of European interest in the Orient from the mid 19th century to the first quarter of the 20th century. The confrontation with items from the Islam-influenced cultural sphere introduces the visitor to an alternative way of thinking and of viewing the world, and opens new perspectives on Paul Klee's work. 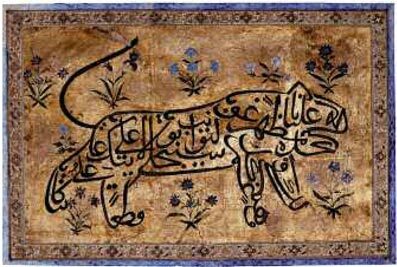 Calligramm of Nâdi'Alî in Shape of a Lion. India. Watercolour and pencil on paper. 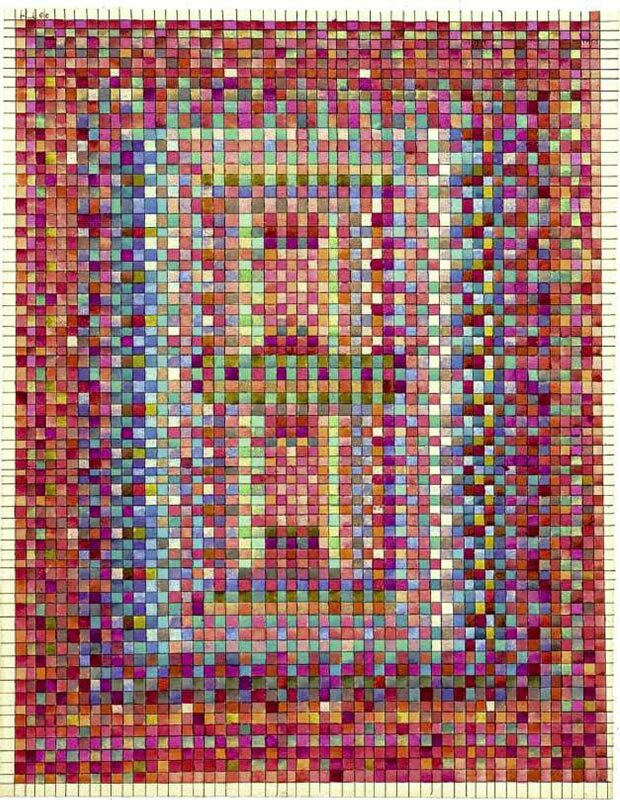 22.5 × 28.9 cm. Watercolour on paper on cardboard. 26.5 × 20.6 cm.